Springsteen started to include a snippet of the song in the outro to "Part Man, Part Monkey" during the Tunnel Of Love Express Tour. Starting from 3:19 : "Sylvia,how do u call your lover boy "
Performed live 49 times as a snippet. 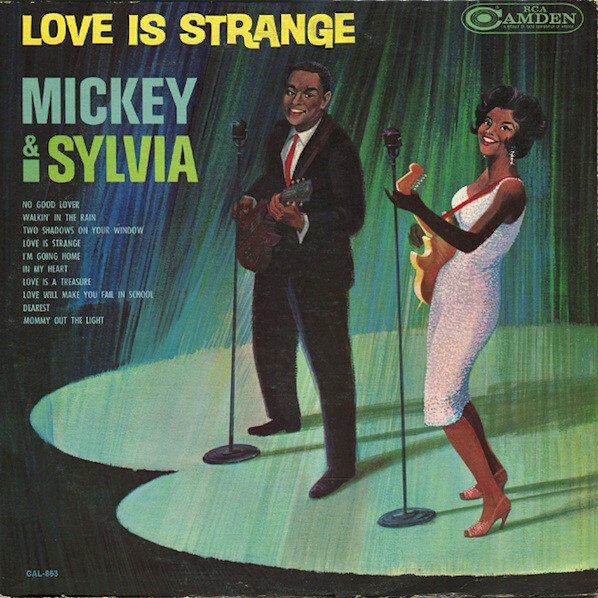 "Love Is Strange" is a crossover hit by American rhythm and blues duet Mickey & Sylvia, which was released in late November 1956 by the Groove record label. The song was based on a guitar riff by Jody Williams. The song was written by Bo Diddley under the name of his wife at the time, Ethel Smith, and was first recorded by Bo. The guitar riff was also used by Dave "Baby" Cortez in his 1962 instrumental song "Rinky Dink", also credited to Diddley. At a concert at Howard Theatre in Washington, D.C. Mickey and Sylvia heard Jody Williams play a guitar riff that Williams had played on Billy Stewart's debut single "Billy's Blues". "Billy's Blues" was released as a single in June 1956 and the instrumentation combined a regular blues styling with Afro-Cuban styling. Sylvia Robinson claims that she and Mickey Baker wrote the lyrics, while Bo Diddley claims that he wrote them. The first recorded version of "Love Is Strange" was performed by Bo Diddley, who recorded his version on May 24, 1956 with Jody Williams on lead guitar. This version was not released until its appearance on I'm a Man: The Chess Masters, 1955–1958 in 2007. Mickey & Sylvia's version was recorded several months later on October 17, 1956.